Please visit ‘t winkeltje during events for the best Dutch snacks, vegetables and sauces. 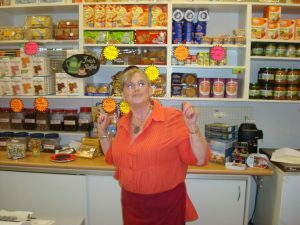 Our shop has got a broad variety of Dutch food like chocolate hail, vlokken, all sorts of liquorice, sliced meats like roast beef, smoked beef, liverwursts, all sorts of Dutch cheeses, biscuits, rusk bread, soups, vegetables, mayonnaise, curry sauce, croquettes, frikandellen and much much more. We aim to be the best value in South Australia and with every purchase you help the club!